Many Person as subject entries and Author entries in Record view are linked to a corresponding encyclopedic article in the online Oxford Dictionary of National Biography (ODNB). 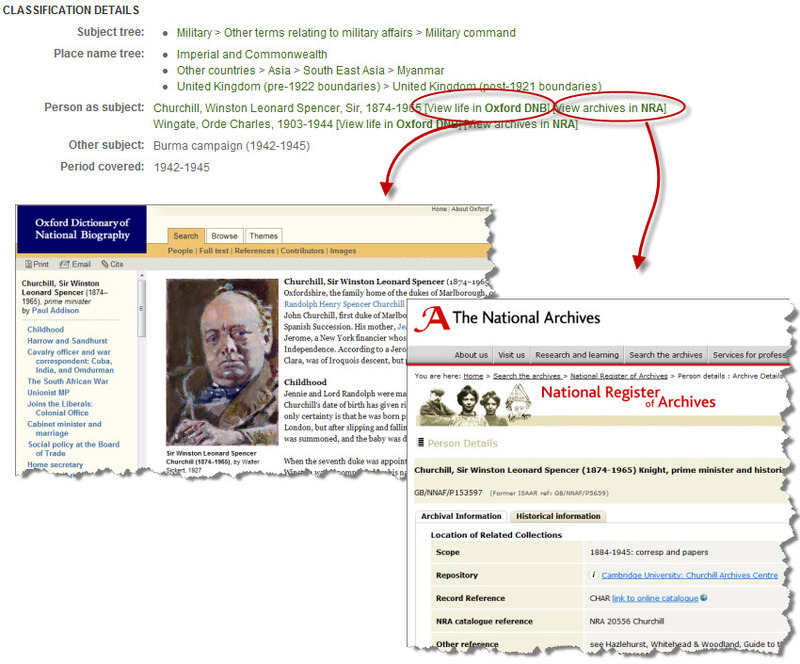 Similar links exist to the online version of Who was Who and to the United Kingdom National Register of Archives (NRA). Click on View life in ODNB/Who was Who or on View archives in NRA as appropriate to activate the link. Access to ODNB and Who was Who is restricted to subscribers.